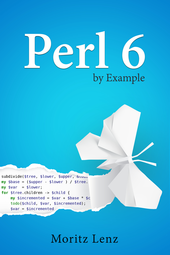 blog | Perlgeek.de :: What is Perl 6? Perl 6 is a programming language. It is designed to be easily learned, read and written by humans, and it is inspired by natural language. It allows the beginner to write in "baby Perl", while giving the experienced programmer freedom of expression, from concise to poetic. Perl 6 is gradually typed. It mostly follows the paradigm of dynamically typed languages in that it accepts programs whose type safety it can't guarantee during compilation. Unlike many dynamic languages, it accepts and enforces type constraints. Where possible, the compiler uses type annotations to make decisions at compile time that would otherwise only be possible at run time. Many programming paradigms have influenced Perl 6. You can write imperative, object-oriented and functional programs in Perl 6. Declarative programming is supported through the regex and grammar engine. Most lookups in Perl 6 are lexical, and the language avoids global state. This makes parallel and concurrent execution of programs easier, as does Perl 6's focus on high-level concurrency primitives. Instead of threads and locks, you tend to think about promises and message queues when you don't want to be limited to one CPU core. Perl 6 as a language is not opinionated about whether Perl 6 programs should be compiled or interpreted. Rakudo Perl 6, the main implementation, precompiles modules on the fly, and interprets scripts. Around the year 2000, Perl 5 development faced major strain from the conflicting desires to evolve and to keep backwards compatibility. Perl 6 was the valve to release this tension. All the extension proposals that required a break in backwards compatibility were channeled into Perl 6, leaving it in a dreamlike state where everything was possible and nothing was fixed. It took several years of hard work to get into a more solid state. During this time, Perl 5 also evolved, and the two languages are different enough that most Perl 5 developers don't consider Perl 6 a natural upgrade path anymore, to the point that Perl 6 does not try to obsolete Perl 5 (at least not more than it tries to obsolete any other programming language :-), and the first stable release of Perl 6 in 2015 does not indicate any lapse in support for Perl 5. Being a relatively young language, Perl 6 lacks the mature module ecosystem that languages such as Perl 5 and Python provide. To bridge this gap, interfaces exist that allow you to call into libraries written in C, Python, Perl 5 and Ruby. The Perl 5 and Python interfaces are sophisticated enough that you can write a Perl 6 class that subclasses one written in either language, and the other way around. So if you like a particular Python library, for example, you can simply load it into your Perl 6 program through the Inline::Python module. Why Should I Use Perl 6? If you like the quick prototyping experience from dynamically typed programming languages, but you also want enough safety features to build big, reliable applications, Perl 6 is a good fit for you. Its gradual typing allows you to write code without having a full picture of the types involved, and later introduce type constraints to guard against future misuse of your internal and external APIs. Perl has a long history of making text processing via regular expressions (regexes) very easy, but more complicated regexes have acquired a reputation of being hard to read and maintain. Perl 6 solves this by putting regexes on the same level as code, allowing you to name it like subroutines, and even to use object oriented features such as class inheritance and role composition to manage code and regex reuse. The resulting grammars are very powerful, and easy to read. In fact, the Rakudo Perl 6 compiler parses Perl 6 source code with a Perl 6 grammar! Speaking of text, Perl 6 has amazing Unicode support. If you ask your user for a number, and they enter it with digits that don't happen to be the Arabic digits from the ASCII range, Perl 6 still has you covered. And if you deal with graphemes that cannot be expressed as a single Unicode code point, Perl 6 still presents it as a single character. which actually tells you what's wrong. But this is just the tip of the iceberg. The compiler catches common mistakes and points out possible solutions, and even suggests fixes for spelling mistakes. Finally, Perl 6 gives you the freedom to express your problem domain and solution in different ways and with different programming paradigms. And if the options provided by the core language are not enough, Perl 6 is designed with extensibility in mind, allowing you to introduce both new semantics for object oriented code and new syntax.